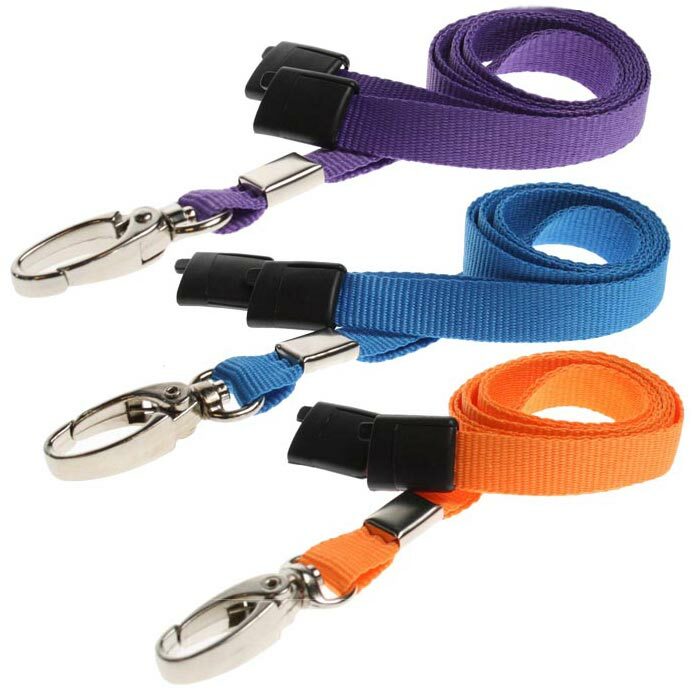 Plain Lanyards with a premium metal oval clip. 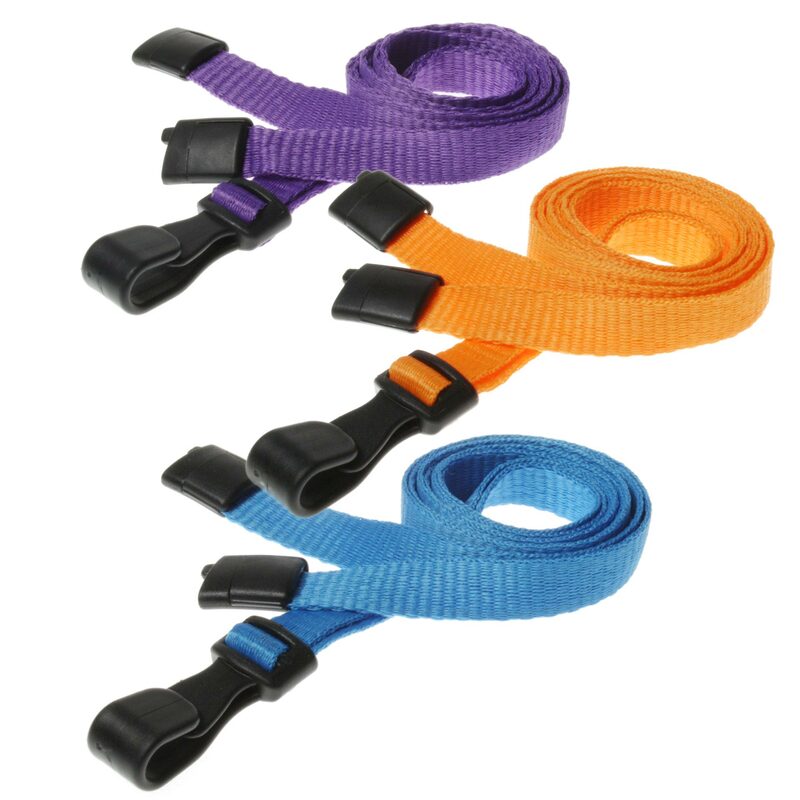 Made from durable but comfortable polyester material, 10mm wide 90cm in length. Fitted with a safety breakaway device these lanyards will break apart should they be pulled or caught in machinery protecting the wearer from injury. They will then easily reconnect after coming apart to be worn again. 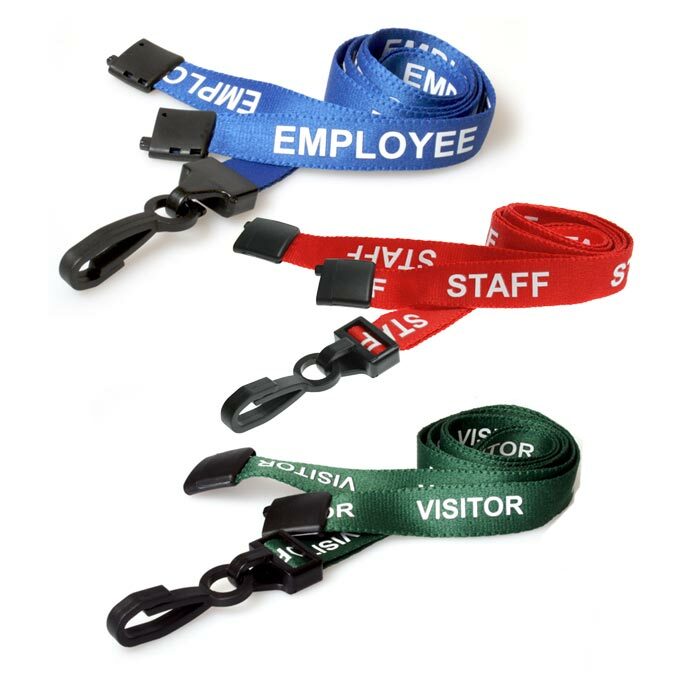 Lanyards are the ideal affordable way to wear and display all kinds of identification. 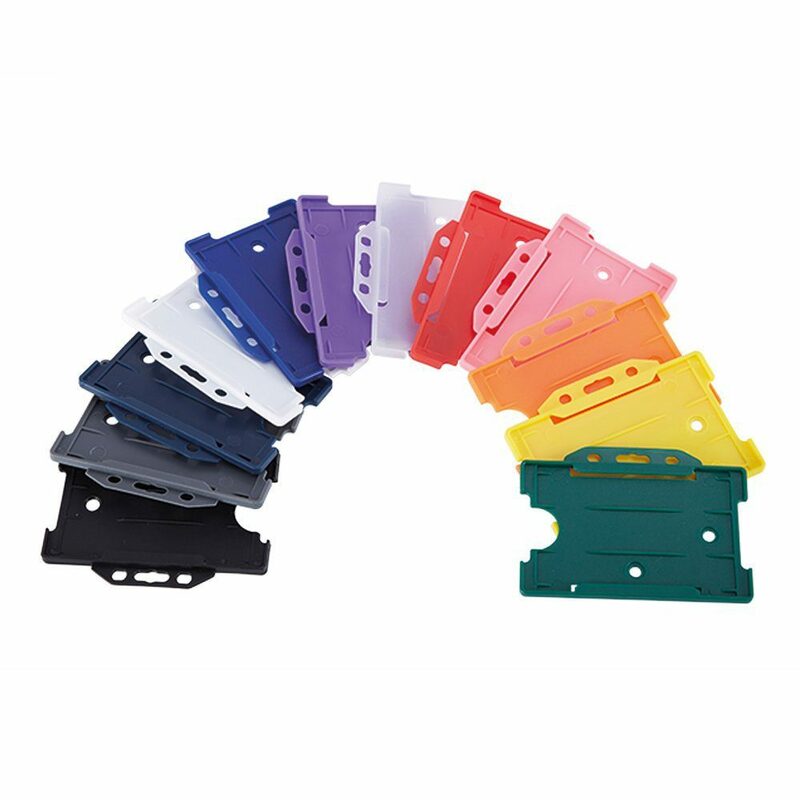 Available in a wide range of rich and vibrant colours making them suitable for most purposes. Minimum order quantity is 25 lanyards. The more you order the greater the discount we can offer. Please contact us on 0845 838 0754 for more about discounts on larger quantities.